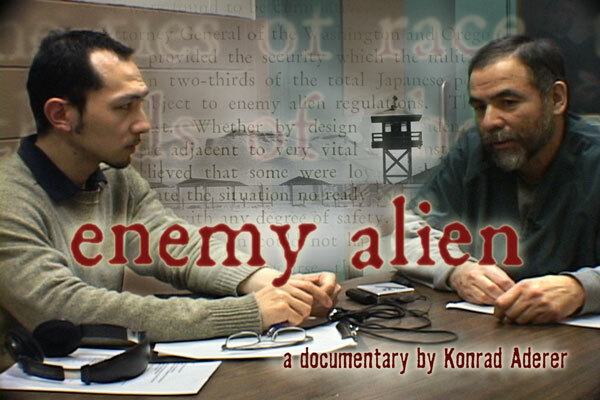 July 6, 2011, New York and Washington – Documents obtained through Freedom of Information Act (FOIA) litigation by the National Day Laborer Organizing Network (NDLON), the Center for Constitutional Rights (CCR), and the Cardozo Law School Immigration Justice Clinic show that the controversial Secure Communities deportation program (S-Comm), designed by Immigration and Customs Enforcement (ICE) to target people for deportation, is also a key component of a little-known FBI project to accumulate a massive store of personal biometric information on citizens and non-citizens alike. Crossings and detentions of undocumented migrants might be sharply down on the US-Mexico border, but many people stuck on the international line face stark conditions. Despite the well-known dangers and difficulties in crossing the border without papers, migrants continue attempting almost Herculean feats to reach the US. And more than a few die on the journey to the Promised Land. 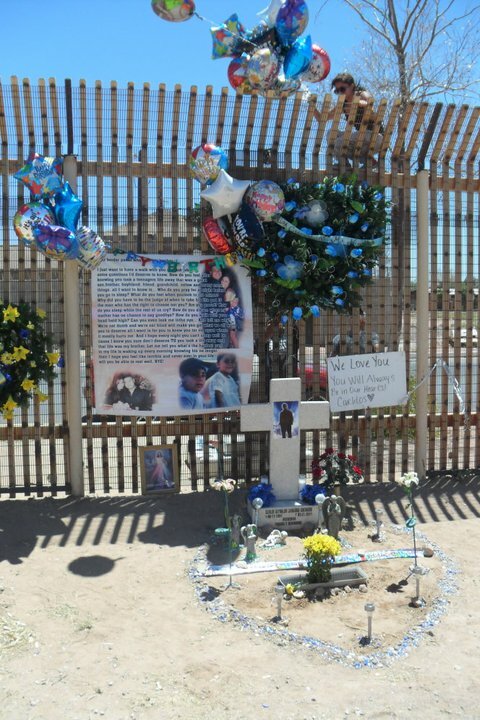 Tucson-Nearly four months after the shooting death of Carlos Lamadrid by a Border Patrol Agent in Douglas, Arizona, his family has been ordered to remove a cross placed at the site of the murder. Guadalupe Guerrero, mother of the 19 year-old, received the letter on July 14th, nearly four months after Carlos, a U.S. citizen, was shot in the back by a Border Patrol Agent. The cross and other memorial items were placed at the site of the shooting within a week of the shooting. Although dated June 29th, the letter was not delivered to his mother until today. The letter states: "The Border Patrol does not allow anything to be placed on or adjacent to the border fence because such placement negatively impacts operations and creates and unnecessary risk to our agents." The letter also states that the family has a period of five calendar days from the receipt of the letter to remove the cross and memorial items. "If all items are not removed from the current site after that date, they will be removed and returned to you" the letter goes on to state. On April 5th, Derechos Humanos and other community organizations joined the family in denouncing the murder of Carlos and demanding that the shooting be impartially investigated and prosecuted. The Department of Homeland Security's callous demand for the removal of his memorial demonstrates its intent to disappear this totally unnecessary death and the violence that reigns on the border. To date, Border Patrol has failed to provide answers to the family yet is attempting to erase history and remove any reminder of the human cost of their brutal policies. Derechos Humanos calls on friends and allies to contact the office of Congressional Reps. Gabrielle Giffords and Raúl Grijalva and the U.S. Border Patrol to allow the family's memorial to remain, and to continue to demand answers that have been denied both the family and our community in regards to the murder of Carlos Lamadrid. The family of Carlos Lamadrid and Derechos Humanos invite you to join us this Sunday, July 17th at 5:00pm at the memorial site in Douglas, Arizona for a vigil to honor the life of Carlos, continue our call for justice in his murder, and demand that his memorial be permitted to remain at the site where his life was so tragically taken from him. We’re now working on a new edition of our book, The Politics of Immigration: Questions & Answers, and you can help us. We won’t be making dramatic changes--unfortunately, not that much has changed in the immigration debate since the book came out back in 2007. The media repeat the same myths about immigration, the laws remain harsh and restrictive, and anti-immigrant hysteria continues to rise; the main difference is that the media have created some new myths, the legislators have passed some new harsh and restrictive laws, and the anti-immigrant forces have gotten a little more hysterical. But we feel that all this only shows the continuing need for a concise, easy-to-read presentation of the facts about immigration--and the importance of updating and improving it. Here is where you can help, based on your experience reading the book, or using it in the classroom, or discussing the issues with other people. Do you see places where we could improve what we say or how we say it? Are there areas where we could be clearer, or where we missed important facts or arguments? If so, please write us a note at thepoliticsofimmigration@gmail.com . The new edition won’t be significantly longer than the first, so we may not be able to incorporate all your suggestions, but we’ll consider them all carefully, and we’ll definitely appreciate your help. Just one short week ago, I published a shocking expose in the New York Times. It was my life story. I am an undocumented immigrant, an outlaw in my own country. Since publishing "My Life As an Undocumented Immigrant," I have been drowning in media requests, tearful letters, and powerful Facebook messages. I want to thank all of the individuals who have both challenged and supported me, as well as ask those who have not yet done so to join me. I decided to quit my job as a Pulitzer-prize winning journalist and come out about my immigration status in order to launch the project "Define American." I knew it would be a risk, but I also knew it was long past time to strike up a more civil, inclusive debate about immigration in America. After all, I had a unique story to tell, and I was tired of staying silent. We may not all agree on how to fix it, but one thing we can all agree on is that our immigration debate is out of control and our immigration system is badly broken. I believe that not only can we do better, but that we must. Will you sign the pledge to stand with me -- Jose Antonio Vargas -- in saying that it's time for a new national conversation on immigration? Define American. Pledge to ask questions, debate, listen, and learn. Some would say my story is the tale of a hard-working immigrant who defines the American dream: achieving success against great odds, working hard, and even earning a Pulitzer Prize for my reporting. Still, despite everything I've achieved, the law still says I am not technically an American. I am undocumented. I want to ask my fellow Americans: what would you do, if you found out at age 16 that you didn't have the right papers? As a journalist, my job is to ask questions that spark conversation. Now I am asking you to join in. Sign the pledge to "Define American", share it with everyone you know, and then leave us a comment about what you would do if you found out you were undocumented. I will bring your comments with me as I head to the next round of media interviews. We all have a story to tell, so let's talk. Let's debate. Most importantly, let's listen. The hunting and murder of migrants by US Marines along the Arizona border was among the first facts revealed, after LulzSec hacked the Arizona Department of Public Safety on Thursday. Sneak Preview! After showing as a work-in-progress at community screenings, the film is about to be released as a film festival offering and distributed by Third World Newsreel. One thing that was striking about the run-up to the invasion is how rarely we heard from the many Haitians who struggled for Aristide's return but opposed any US military action. On the night of September 29, 1991, Haitian army officers launched a coup d'état against the country's elected president, Jean-Bertrand Aristide. By the next afternoon, soldiers had arrested Aristide and had started gunning down coup opponents in the street. The toll would reach more than 3,000 over the next three years.